Getting a Glastonbury or Tomorrowland ticket seems to get more and more difficult every year. I sometimes think it would be easier to get a golden ticket to Willy Wonka’s Chocolate Factory! Read my Top 10 Tips below and hopefully, it will improve your chances of getting your hands on a Tomorrowland or Glastonbury ticket this year! Tomorrowland and Glastonbury operate in similar ways with regards to their ticketing. One of the things I get asked every year is ” How did you get tickets?” 50% is down to pure dumb luck, the other 50% is down to meticulous planning and preparation. Sometimes you only have one shot to get it right before heartbreak and disappointment sets in! Other times, you have a second life and another chance to secure a ticket either in the form of a second release or ‘re-sale’ of tickets. Follow my simple tips and tricks and fingers crossed you will secure a ticket to one of the best parties on the planet! 1. Make sure you are registered! This sounds so obvious, doesn’t it? But I am always surprised at the number of people that get caught out by this and go to buy tickets that haven’t pre-registered. You (and everyone you are buying a ticket for) must have pre-registered on the Glastonbury or Tomorrowland website to be eligible to buy tickets. It’s free and only takes minutes to do. You must also upload a photo of yourself as part of the registration for Glastonbury, so do check the Do’s and Dont’s on the registration page to make sure your photo gets accepted first time – speeding up the registration process. 2. Work as a team. ‘All for one and one for all’! You can only purchase 6 tickets at a time for Glastonbury or 4 for Tomorrowland (unless you are buying a specific package), so working as a team will help you increase your chances. The day before, create a group chat, that way you can all keep in touch throughout the process. I also recommend doing a group call on ticket release day, as you will likely be using your mobile phone as a screen to get tickets through! If you are not a full group, join up with others! There are always people floating between groups, so to increase your chances if you are doing it alone, or as part of a pair, give your details to another group who perhaps have a spare place on their list. That way the chance of you getting a ticket is vastly increased. 3. Have all your registration details to hand! This one sort of goes hand in hand with the ‘all for one and one for all’ motto. Create a spreadsheet with all your (and your friends) details on. For Glastonbury, you will need everyone’s first name, last name, Glastonbury registration number, email and postcode. Do this in advance and send it round to the rest of the group. That way if anyone gets through to payment stage you will have each others registration details handy. For Tomorrowland, everyone needs to be registered, but ticket personalisation happens at a later date so you won’t need a spreadsheet at this stage. This is a biggy! Make sure that you have enough money in your bank account to purchase the tickets. The last thing you want is to get to the payment page, put all your details in and your card gets declined for ‘insufficient funds’ – heartbreaking! For Glastonbury, you only pay a £50 deposit for tickets initially then the rest of the balance is paid off in April. However, one person will need to pay for all the deposits and then each person pays the remaining balance individually in April. For Tomorrowland, you must pay the total amount in full, and that is for all tickets purchased. So if you are in a group, one person will need to pay for 4 tickets IN FULL which depending on ticket type, can be well over £1000. With the point above in mind, check which cards are accepted on the website. Not all festivals accept PayPal, American Express or even debit cards, so be sure to check which card types will actually work to purchase tickets with. This next point is especially important for Tomorrowland – make sure that you have notified your bank that you will be making a large purchase. Some banks will block certain payments they deem to be potentially fraudulent. Also, some festival providers may well be based abroad and so overseas payments might look suspicious to a diligent bank. Better safe than sorry I always say. 5. Have multiple devises and browsers NOT multiple tabs! Always a topic for debate when buying tickets, but the thing I have found most effective is to have multiple devices rather than multiple tabs on one browser. It’s also better to have devices of all different types; tablet, laptop, phone, desktop PC etc – mix it up. They will also all have different browsing systems which will make a difference. For example, have your iPhone on Safari, your laptop on Google Chrome, your PC on Firefox etc this way you are covering all bases. If you only have one device then make sure to have a single tab open in each browser type. 6. Refrain from celebrating early! So you have got through to the page where you select your ticket, perhaps you have gone one further and even managed to reach the sacred realm of the payment page? But don’t be fooled, this doesn’t mean you can start jumping around the living room, gloating on social media or planning your festival outfits just yet. Until payment has been taken from your bank account or you have received a confirmation email YOU ARE NOT SAFE! With Glastonbury this year, a lot of people reached the payment page and it crashed at the last minute – this is what happened to me and my group multiple times! It was only hours after the ticket sale had ended that we saw that money had been withdrawn and we received a confirmation email. Keep your cool until you know 100% that you have secured a ticket. No wants to be the boy who cried wolf! 7. Opt for a package instead! Most festivals offer some form of package, whether it includes glamping or travel and these tickets are generally easier to get your hands on – Probably because they tend to be quite a bit more expensive. For Tomorrowland specifically, they offer travel packages in advance of the general ticket sale. These tickets are a lot more expensive but does mean that you are more likely to be able to secure one. Plus if you need to arrange your travel anyway, it might be worthwhile biting the bullet and paying that bit extra to secure your ticket to avoid the rate race of general sale. This is the only difference between Tomorrowland and Glastonbury I have found based on experience. For Tomorrowland, as soon as the site goes live, you are in a queue. If you constantly refresh you go back to the start of the queue. Refresh the page once and wait to see your fate – don’t be tempted to keep refreshing! For Glastonbury, REFRESH!!! Hit that button like there is no tomorrow. Just don’t forget to refresh each device or browser you are using. There are some things which I have genuinely done which might seem over the top and borderline obsessive… but having been to Tomorrowland 4 times and now off to Glastonbury this year, I know there is a method to the madness! Do a ‘hard refresh’. Normally when you refresh a page online you just refresh the existing page without removing any of the old data stored on that page. A hard refresh clears the browser’s cache for a specific page and forces it to load the most recent data. For a hard refresh – Press Cntl + f5 together, this is the same for most browsers but here is an article about what to do with each operating system. Use an Atomic Clock. When a festival website says that tickets are released at 9am, they will go live at exactly 9am. To make sure you refresh your page bang on time, use an atomic clock to count you down. It also shows you the time zone in other countries in case you are purchasing them from abroad. Use Wifi and an ethernet cable. Most people will use Wifi to purchase their tickets. If you can, plug at least one device directly into your internet router. Doing this will mean you have a quicker download speed and could increase the speed your device refreshes at. This could mean you hit that ticket queue a lot quicker than someone else. 10. Breathe – Don’t Panic! Most of all, don’t panic. Your heart will race and your palms will sweat but keep trying! I have heard about people waiting for ages in a queue and getting in long after others say it’s sold out. With most festivals, if you don’t get a ticket through the general sale there are other ways to secure a spot. You might have to buy a slightly more expensive ticket, you could volunteer or work at the festival, or look into whether they have an ambassador programme – where there is a will there is a way! 3 replies to Top 10 Tips – How to get Tomorrowland & Glastonbury Tickets! 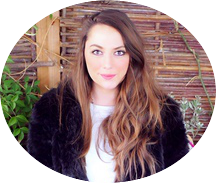 Im – you might be interested in following Sophie’s blog. Really good 10 top tips on getting festival tickets. . She knows her stuff. Also a v good piece on being dyslexic and writing a blog.